Any podcast app worth its salt allows you to change the playback speed. People speak at different paces; some podcasters are agonizingly slow and articulate, others talk very fast and are impossible to understand if you don't speak their language (and even dialect) natively. That's why it's important to be able to set the playback speed to a convenient rate for you. Google Home appears to be getting this feature soon - possibly even now. To listen to news about a topic, say: "Listen to news about North Korea," "Play the latest on Donald Trump," "Hear headlines about the Super Bowl"
I'm not sure if the topic news requests are new: you could always ask for news from a certain source or about a category, and I'm pretty certain topical news were already available. Maybe the person in charge of the support page just got around to adding them. As for playback speed controls, they're definitely new(ish). 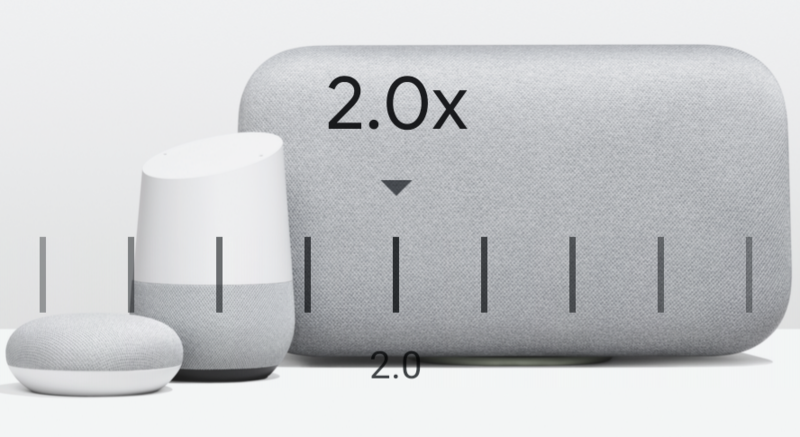 I tried them repeatedly on my Google Home and I can't get any variation of them to work. The Assistant just tells me it doesn't understand. This feature is either rolling out slowly, or about to come in the future. It's worth noting though that playback speed controls for audiobooks have been available for a while, so the option only seems to be new for news and podcasts.